Below you will find Top Kendriya Vidyalayas in Bihar 2018, List of Best Kendriya Vidyalaya Schools in Bihar Region. Kendriya Vidyalaya, Sonpur, since its inception in the year 1987 is being managed under the aegis of Kendriya Vidyalaya Sangathan. 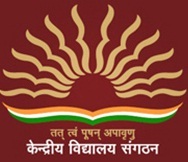 KV Hajipur is one of the oldest Institutes of Kendriya Vidyalaya Sangathan, New Delhi with the common pattern in terms of Fee, Admission, Uniform and Curriculum. Founded in the year 1966 under the patronage of Kendriya Vidyalaya Sangathan, New Delhi, Kendriya Vidyalaya, Kankarbagh stands a testimony to the ever-increasing number of pupils passing through its portals, molded in all spheres, fit to face the growing challenges of the modern world. Kendriya Vidyalaya, Jamalpur is a Co-ed English medium school managed by the Kendriya Vidyalaya Sangathan. Kendriya Vidyalaya, IOC, Barauni was founded in the year 1977 and is run by the mammoth organization the Kendriya Vidyalaya Sangathan. Kendriya Vidyalaya Garhara started its glorious journey in the year 1988. Kendriya Vidyalaya HFC Barauni started its glorious journey on 14th September 2004 and is affiliated with CBSE Board. 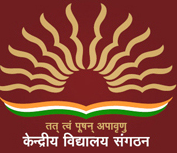 Kendriya Vidyalaya Muzaffarpur is a school in Muzaffarpur, established on 31 October 1986. Kendriya Vidyalaya, Samastipur is one of the leading institution which was founded in the year 1981. Founded in the year 1994 under the patronage of Kendriya Vidyalaya Sangathan, New Delhi, Kendriya Vidyalaya, Khagaria stands a testimony to the ever-increasing number of pupils passing through its portals, molded in all spheres, fit to face the growing challenges of the modern world. Kendriya Vidyalaya, Bailey Road, Patna was founded to cater to the educational needs of the children of the service personnel of the Naval establishment. Kendriya Vidyalaya, Khagaul was founded in the year 1987 and is run by the mammoth organization the Kendriya Vidyalaya Sangathan.